Alice Walker is an internationally celebrated writer, poet, and activist whose books include The Color Purple and six other novels, four collections of short stories, four children’s books, and volumes of essays and poetry. Her work has been translated into more than two dozen languages and sold more than fifteen million copies. She has received the Pulitzer Prize in Fiction and the National Book Award. Walker has been an activist all of her adult life, and believes that learning to extend the range of our compassion is activity and work available to all. She is a staunch defender not only of human rights, but of the rights of all living beings. For more on Alice Walker, click here. 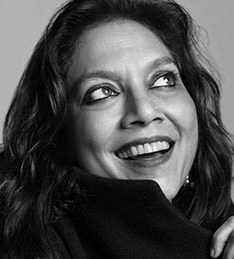 Accomplished film director, writer, producer Mira Nair was born in India and educated at Delhi University and at Harvard. She began her film career as an actor and then turned to directing award-winning documentaries, including So Far From India and India Cabaret. Los Angeles Times says of Mira Nair, "she has continued to explore issues of a world in flux, making films steeped in diversity and issues of representation long before those became industry watchwords.” For more information, please click here. Brian McLaren is an author, speaker, activist, and public theologian. A former college English teacher and pastor, he is a passionate advocate for “a new kind of Christianity”—just, generous, and working with people of all faiths for the common good. He is an Auburn Senior Fellow, a contributor to We Stand With Love, and a leader in the Convergence Network, through which he is developing an innovative training/mentoring program for pastors and church planters. For more on Brian McLaren, click here. Gareth Higgins is a northern Irish peace activist, author, film critic, and beloved storyteller. He is the founder of the Movies & Meaning Festival and The Porch Magazine. His most recent book, Cinematic States, explores the myth and dream of the United States through movies. He travels and speaks about film, peace activism, and Celtic spirituality. For more on Gareth Higgins, click here. James McLeary holds graduate degrees in health law and clinical psychology. He has worked with management teams in education, corporate and government institutions providing clarity and insight into communication and solution strategies implemented through curriculum and trading. He is CEO of Inside Circle Foundation, a not for profit organization providing emotional intelligence training for leaders of major crime organizations in maximum security prisons. He is executive producer of an award winning documentary The Work, which captures this methodology during a four day training. 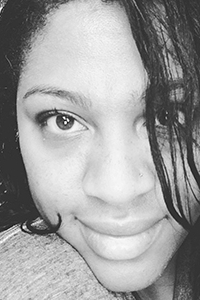 Jasmin is a writer and editorial consultant living in Asheville, North Carolina. Passionate about the power of story and imagination to foster healing, she has served as the Communications Director for The Wild Goose Festival and Love Wins Ministries. She is also a collaborating editor and writer for The Porch Magazine.